What is it about you that intrigues me so much? Is it yellow streaks of taxis and crammed sidewalks and the abruptness of walk/don’t walk? Is it the tall buildings and skyscrapers from which to look out from observation decks, only to find a bright green postage stamp of grass in the middle filled with rocky verges, ponds and a million marriage proposals? Is it the snow and Home Alone 2 and the Rockefeller Christmas tree and the hopes of skating underneath it? Or skipping through amber leaves in Fall and sipping a pumpkin spiced latte hidden underneath a rib knit scarf? Maybe it’s the allure of Easter and new beginnings and pastel everything, so sickly sweet but so loving and inviting. Perhaps you are just a promise of summer, of fun days and the High Line and weather so hot, a five dollar popsicle melts down my arm and I just don’t care. New York, I think I love you and we’ve never met. I want to tell you this in person someday, but as with many things in my life I want to say them with food. With my nose in a sprinkle-heavy Magnolia Bakery cupcake or a Dough doughnut in Brooklyn. I want the best pizza served on a stand to a red chequered table by American Italians but I also want the worst of it, blotted with paper napkins and eaten standing up somewhere too filthy to imagine. I want a Cronut, just to see what the fuss is about, but maybe I’ll just watch the line from afar with an imitation of the real thing. I want to see the skyline a mess of stars and building lights, a glass of champagne in my hand or maybe my favourite, a Manhattan. 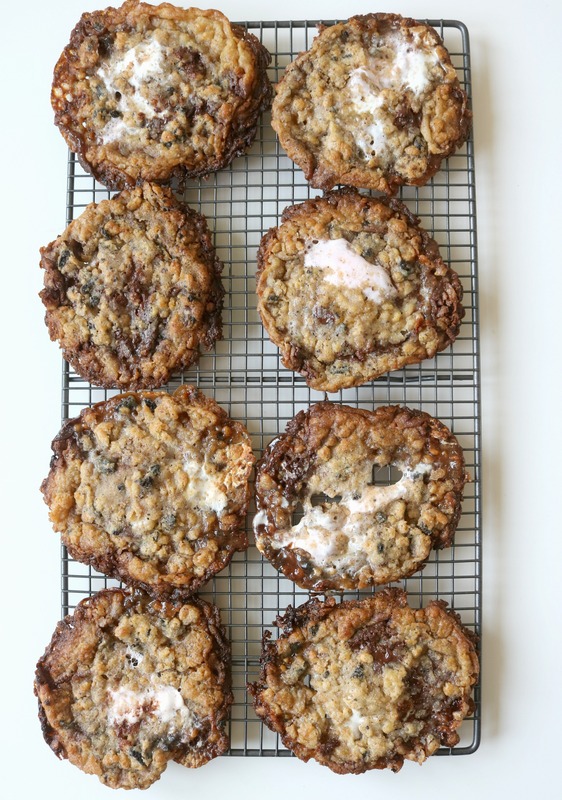 I want to slurp a bowl of Momofuku ramen and wander to the Milk Bar to buy an outrageous cookie, one with cereal and chocolate and oreos and marshmallows and eat it sitting on a bench or on a staircase or in the park. Like many things in this world New York, we must work hard to achieve our dreams but we must almost remember to find joy in the little things. 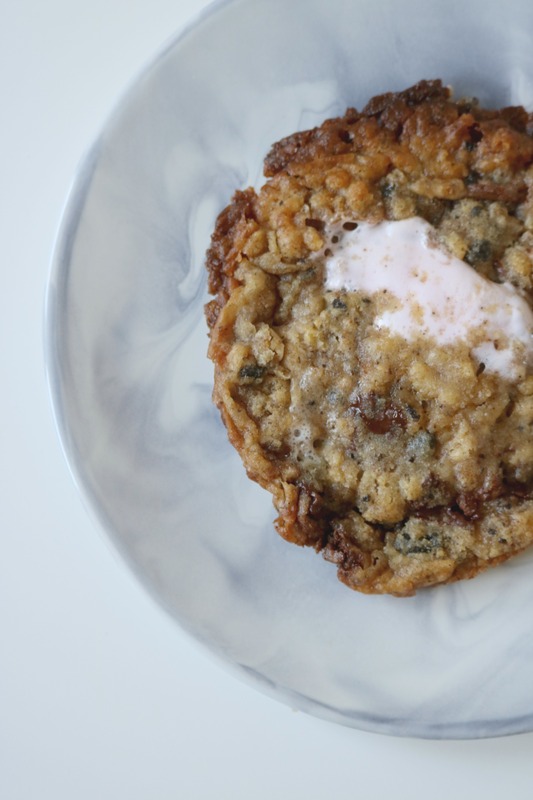 To soften this long distance longing, a cookie inspired by Momofuku’s Milk Bar helps a little. 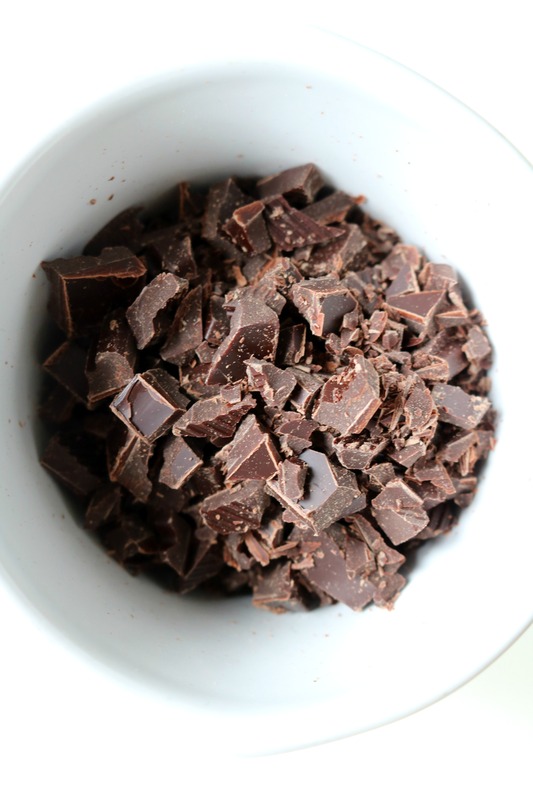 It’s childlike and sweet, like glasses of milk and biscuits before bed, but rich with dark chocolate and a hearty pinch of salt. It’s a pleasingly well made bowl of cereal, the milk ice cold with the contents still crisp. It’s just a cookie, but it’s like a delicious memory I’m going to make one day. Until then, New York. I love you. I must add I was impatient here and baked a batch of cookies after around 1 hour in the fridge and they spread out quite quickly in the oven, the sugars melting a little. The sugars create a crisp caramelly edge which is a nice contrast, but the flavours really develop and do benefit far more from an overnight rest. After they have chilled for a good few hours on the tray and feel solid, store in a lined tupperware box and bake as required for up to a week or freeze to ensure you always have a freshly baked cookie in your arsenal. In the bowl of a stand mixer fitted with the paddle beater, whip the butter to soften for 30 seconds then add the two sugars. Beat until pale and fluffy for around three minutes, scraping down the sides of the bowl halfway through. Add the egg, whipping again until the mix looks shiny and scrape again to ensure it is well mixed. 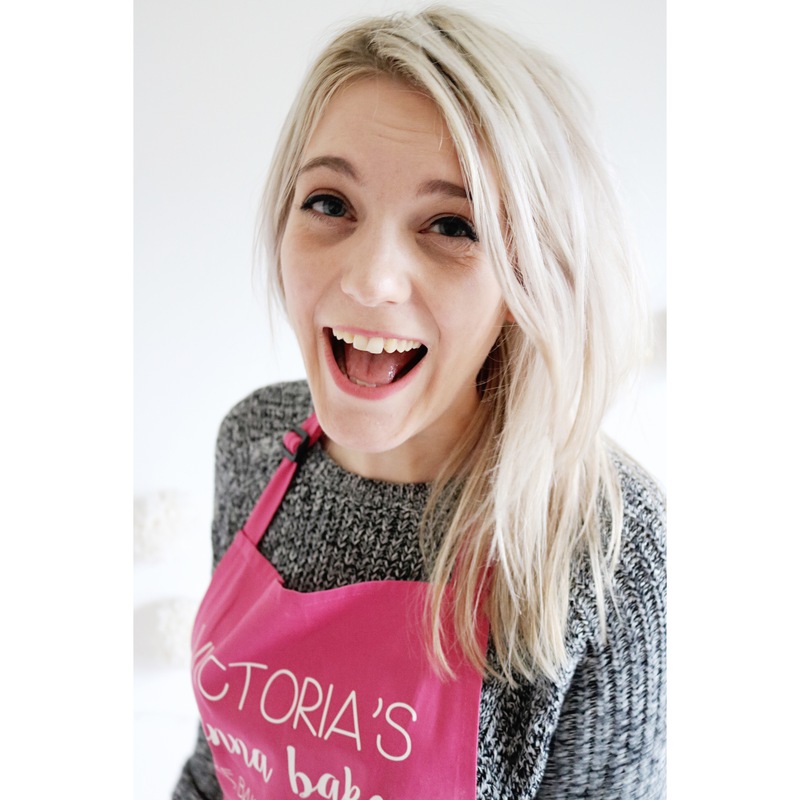 In a separate bowl, whisk together the flour, milk powder if using, baking powder, bicarbonate of soda and salt. Add to the wet mixture and beat slowly to combine, stopping the mixer to scrape down the sides and beating again. 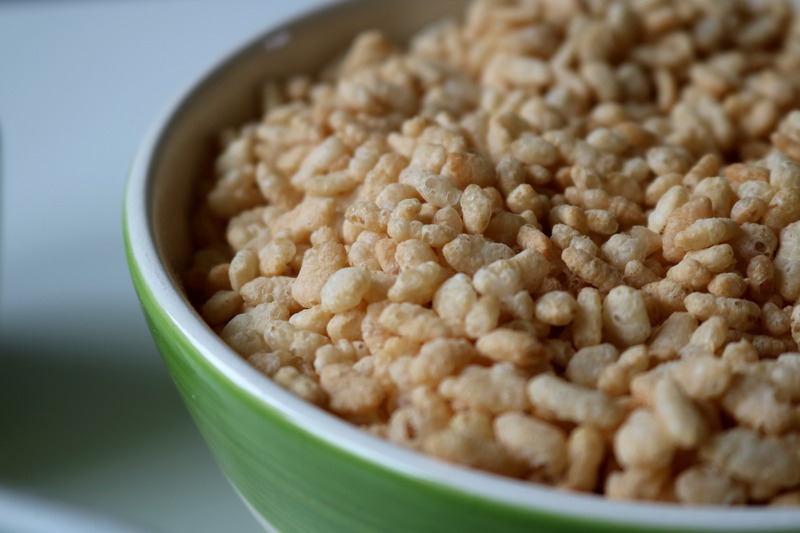 Carefully fold in the rice crispies, trying not to crush the mixture too much using a slow speed or a spatula. 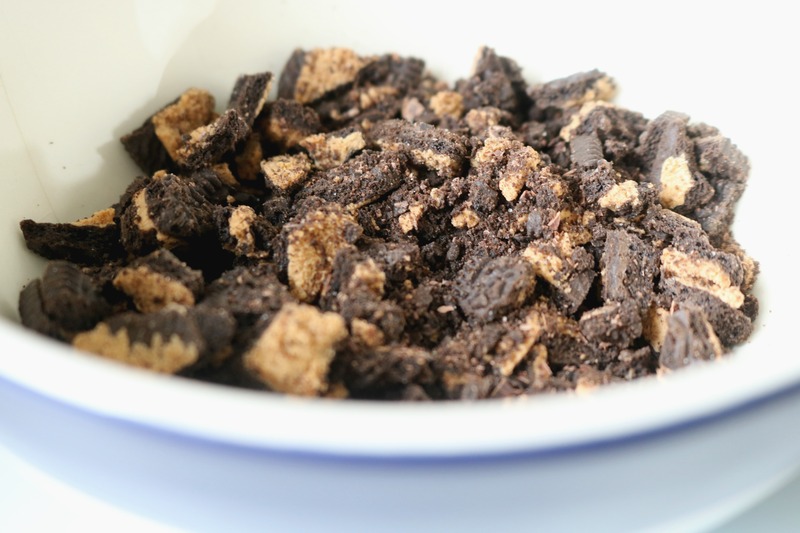 Then fold in the remaining ingredients until well mixed. 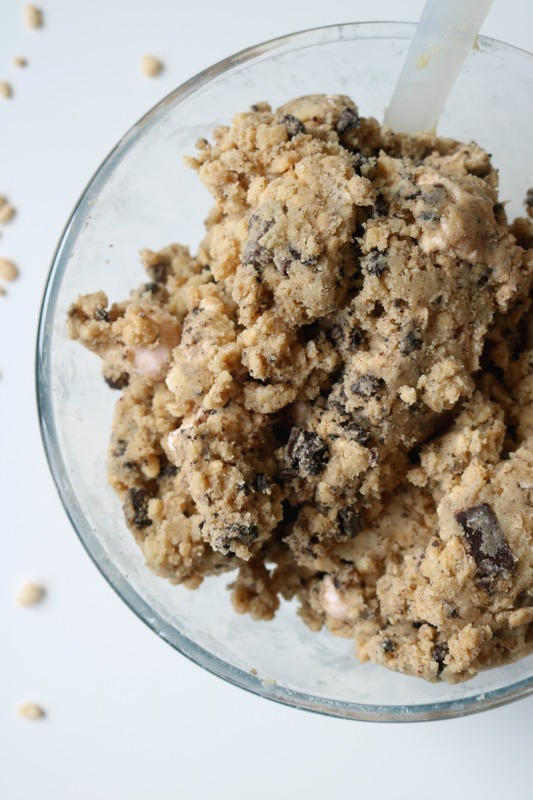 Line a baking sheet with baking parchment and scoop out your cookie mix. I used an American ⅓ cup, which creates these massive cookies but you could weigh around 75g of dough instead and roll and roll into balls. 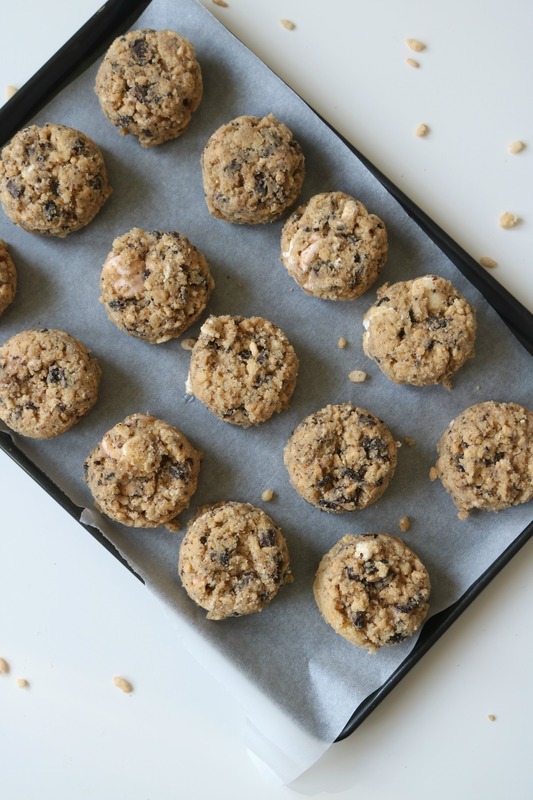 Place your cookie balls on the sheet, using all of the mixture to create around 14 cookies, flattening each with a rolling pin to around an inch then cover with clingfilm and refrigerate overnight. To bake, preheat the oven to 170oc/150oc fan and line the largest baking sheet you have with baking parchment. 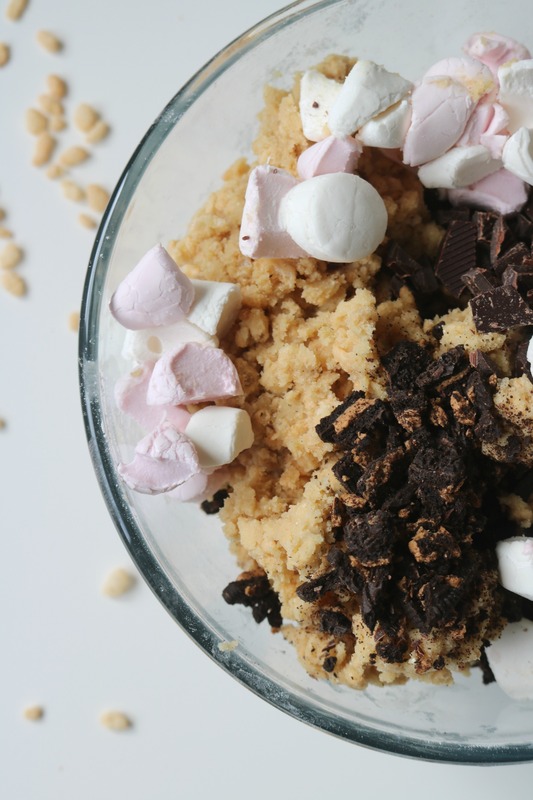 Place three to four cookies on the sheet, pressing down with the heel of your hand to flatten slightly then place in the oven for 10 to 12 minutes until soft and the marshmallows are slightly charred. If they are oddly shaped, you can quickly coax them into a round cookie using a clean spoon to push the edges in a little neater. Leave to cool for ten minutes on the tray then transfer to a wire rack to cool completely. Bake the rest of the cookies in the same way or store the uncooked dough in the fridge for up to one week in an airtight container or in the freezer tightly wrapped in cling film for up to two months. The title alone had me salivating, these sounds amazing!